How Secure Does Your Website Need To Be? 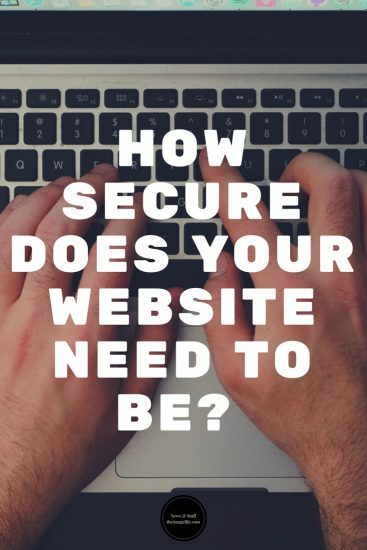 Other than for the obvious reasons of wanting you and your visitor’s data to remain safe, there are other benefits of making sure your website is secure. In an attempt to make the internet a safe place to b, and do business the search engines are going to be dropping site ranks on websites that are not delivered over SSL. An SSL certificate is a digital certificate that authenticates the identity of a website and encrypts information sent over the internet to a server. A certificate is a bit like an electronic “passport” that establishes a website’s credentials when doing business on the web. When a site is delivered over SSL the domain name starts https://. Normal or unsecured websites start with http:// (without the “s”). Depending on your browser you might also have a small notice or padlock to advise you. 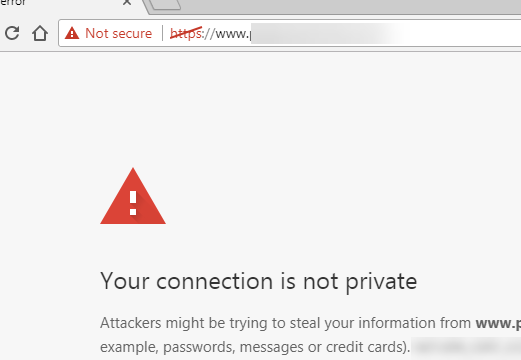 Some browsers are also now displaying really nasty warnings to warn you if the site is not secure. No potential customer is going to put payment card details on that site! HOW DOES SSL MAKES THINGS SAFE? SSL is used to secure data transmitted over the Internet between your computer and a server. With SSL all information that is transmitted becomes encrypted, making it unreadable to everyone except the intended servers. WHY EVERY WEBSITE SHOULD USE SSL? Security is a top priority for Google and they invest heavily in services that use industry-leading security by default. This means that people searching or using Google apps, like Gmail and Google Drive automatically have a secure connection to Google. Google doesn’t want to send their users to sites that give them malware or give bad people the opportunity to steal their private data. For their own business sake, they want their users to be transferred to safe sites with good content where they know that their user is going to have the best experience. So they want everyone to do the same as them, and make the Internet a safer place in general. A large part of that is making sure websites accessed from search results pages are secure. To encourage this, Google has made SSL essential for the ranking of all websites. Bluntly, if you ain’t secure they ain’t gonna play, and you ain’t gonna show up on their pages! Theimagefile is offering every domain name hosted free SSL security certificate. But you have to bring some toys to the party too! If you need help with these just let us know and we will do what we can. The most important thing is that you act now to start getting these items sorted and benefit from the security and search engine boost it will give your business. So, yes, we are taking this seriously. Your website rank will still depend on the page content displayed to your visitors, but now also how you deliver that content to your visitors.